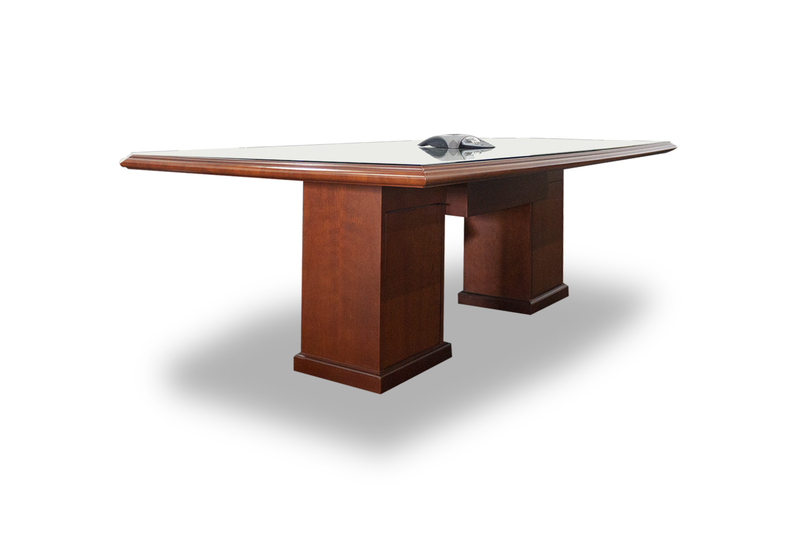 Pre-owned conference table has six sides with cherry veneer finish. Rests upon (2) slab bases with conjoining beam. With (2) power ports. Dimensions: 54"D x 96"W.